Mental stimulation is just as important as physical exercise when it comes to your dog’s overall well-being. Just as physical activity helps stave off obesity and disease, exercising the brain prevents boredom, anxiety and depression to keep your pooch healthy and happy! Doggy dementia is an ever-growing problem in the United States. About 25% of dogs over the age of 10 show signs of brain aging, and more than 60% have symptoms by the age of 15. Regular walks are a great start, but there are many other fun, creative ways to exercise your dog’s mind while also enjoying quality time together. Despite the old adage, dogs are never too old to learn new tricks! All pups should master basic obedience skills early in life for the sake of safety, but once that’s out of the way you are free to experiment with fun new stunts. Just remember, fun is the key word. The whole point of the exercise is to get the wheels turning in your dog’s mind and enjoy your time together. Training can be a wonderful bonding experience as long as you keep it light-hearted. 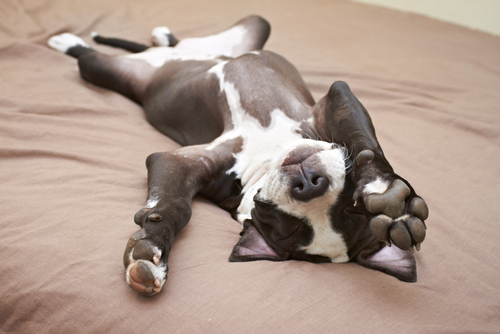 Be patient, celebrate each success, and call it a day as soon as your pooch shows signs of boredom or frustration. 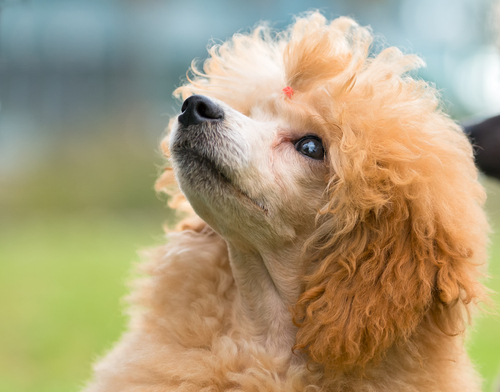 If your pup is a beginner, start out slow by reinforcing a pre-existing behavior. For example, does he tilt his head when you speak in a high pitched voice? Does he bow down when he’s excited for a play session? Here’s how to turn those cute gestures into new tricks! 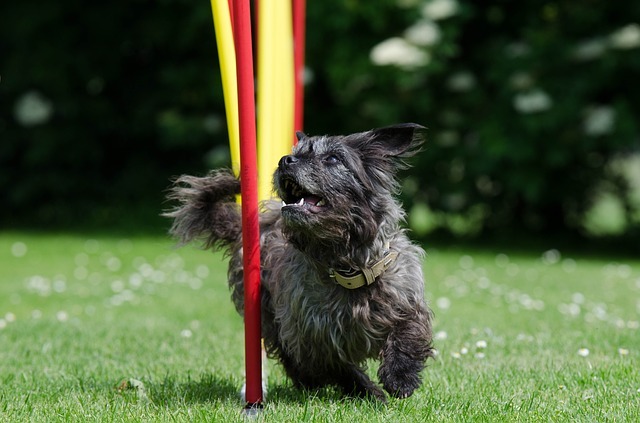 If your dog is already a pro, try working from this list of more advanced stunts. Some of your most beloved childhood games also double as excellent brain exercises for your dog – with a few modifications of course! In order to play Doggy Hide & Seek your pooch will need to have mastered the sit, stay and come commands. Have him sit and stay while you or a favorite family member hides in another room. When you give the come command, he is free to hunt you down. Be sure to provide lots of praise and/or treats when he finds you. Check out this post to learn how to play other brain games like Round Robin Recall, Find-It and Clean-Up games as well as how to set up a home obstacle course. A thorough sniff of a new, exciting neighborhood is the doggy equivalent of the latest Pixar movie. Humans are visual creatures, but for dogs, it’s all about the smells. Nose work classes and competitions are growing in popularity thanks to their many canine health and wellness benefits. Dogs get a great physical workout while stimulating their entire brain with sensory cues. Better still, it’s a wonderful way to strengthen the human-animal bond by teaming up to conquer the course together. If your local training facility does not offer search and scenting activities, you can set up increasingly challenging trials in and around your home. 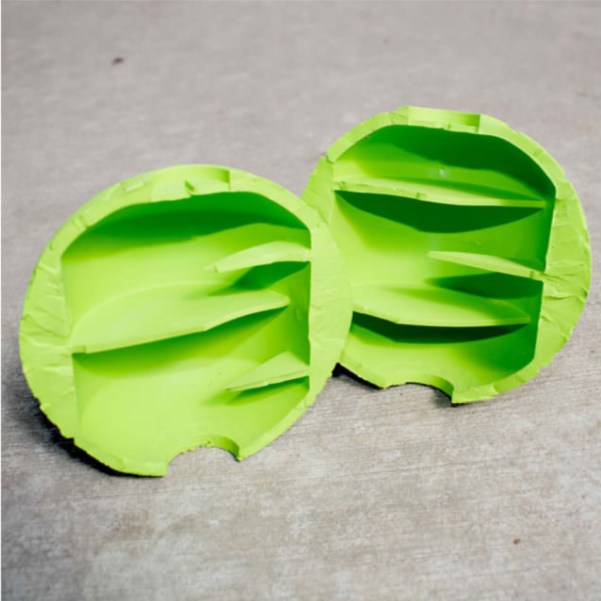 Start by setting out a series of paper cups or boxes with treats hidden under a select few. Once your dog has mastered the basics, you can work up to hiding treats, toys and favorite humans in different rooms of the house for him to sniff out. As much as your dog enjoys romping and playing with you, nothing can replace the carefree frolicking of two canine pals. 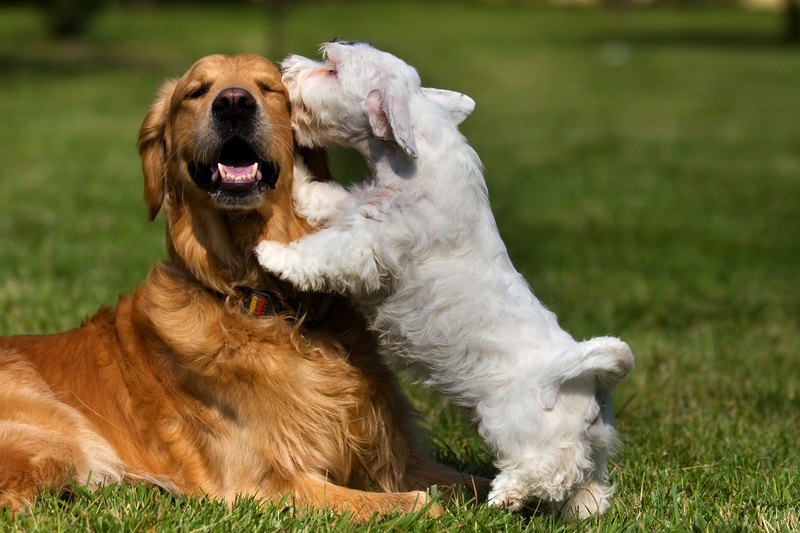 Play dates allow dogs to nip, jump, paw and roll in a way that only another pup could tolerate! Not only does your dog get to burn off physical energy, play dates are excellent for stress relief and remind him of the appropriate ways to interact with others of his own species. If you are in search of playmates for your pooch, try this free service that matches up local dogs! Venturing outdoors for an adventure is like nose work without the work! 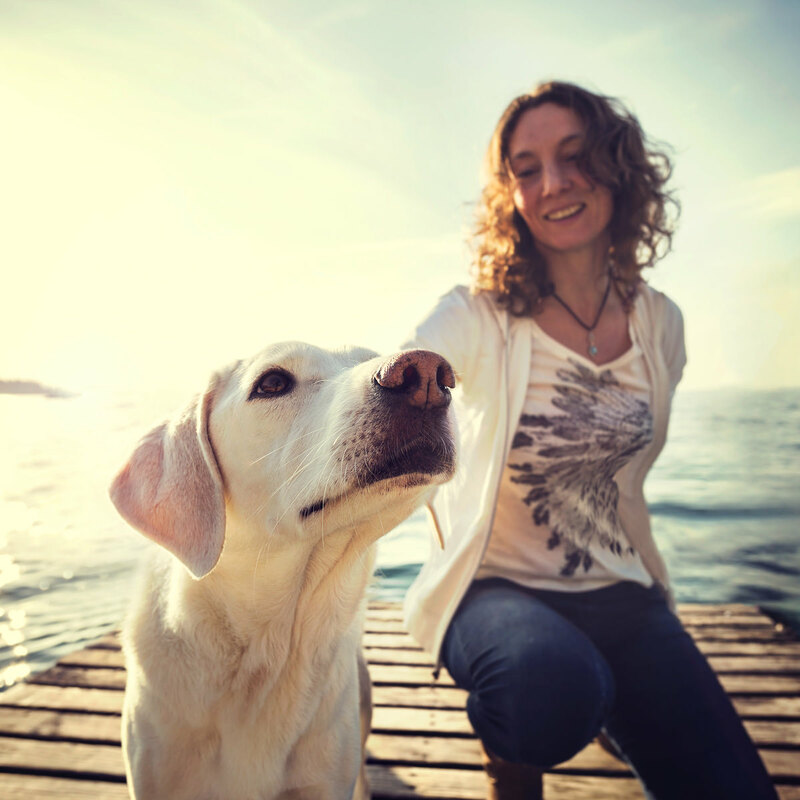 Whether it’s hiking in the woods, walking on the beach, or strolling a new city street, your dog’s senses will be bathed in fresh sights, sounds and especially smells to get his brain buzzing. Plus, you never know who you might run into – it could turn into an impromptu play date with a new pal! Some dogs are just too smart and energetic for their own good. These pups are wonderful candidates for dog sports. With your dog’s individual personality in mind, choose from agility, flyball, lure coursing, herding, dock diving, etc. 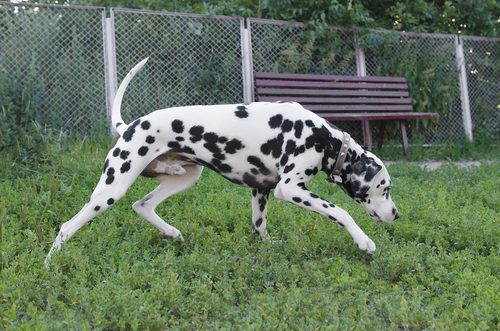 Whether you decide to make it a casual pastime or a weekly competitive exploit, your dog will definitely learn a few new tricks while strengthening his body and mind. Competitive sports also help reinforce the special bond you share. Food-dispensing puzzle toys combine your dog’s desire for treats with his love of play. The promise of a tasty reward keeps him motivated as he exercises his brain and body and sharpens his problem-solving skills. There are several varieties on the market or you can make your own from common household items. For highly intelligent doggos, try one of the many toys designed by working mom and enterpreneur, Nina Ottoson. Her puzzles are available in several levels of difficulty to challenge even the brainiest pups. 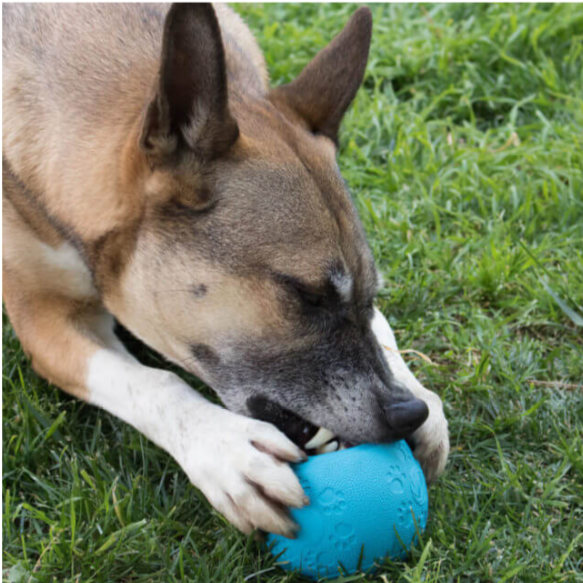 To get your dog’s mental juices flowing without him even realizing, try the Brain Ball by Project Play™. Simply stuff it with your dog’s favorite treats and give it a toss. As it rolls, bounces, and jiggles, the snacks make their way through multiple levels of tiers, forcing your pooch to work for his prize. In addition to a healthy diet, plenty of exercise, and a busy social calendar, there are a few supplements known to promote canine brain health. SAM-e (S-adenosylmethionine) is a compound involved in the formation of important brain chemicals called neurotransmitters. 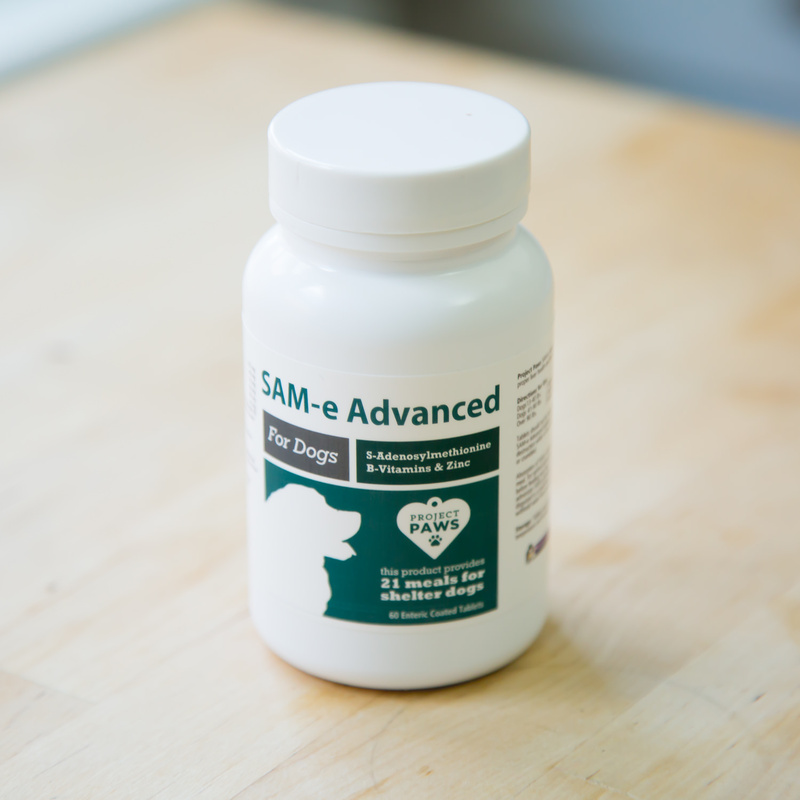 Unfortunately SAM-e levels decline with age, but supplementation has proven safe and effective at staving off mental decline. Coconut oil also has brain health benefits. It is a rich source of medium-chain triglycerides (MCTs) which have been shown to improve brain energy metabolism and decrease brain lesions in older pets.